Should I Really Be Worried That I’m Brushing Incorrectly? Come on, is it really that hard to brush your teeth effectively? The practice is one you have hopefully been engaged in for all your life. 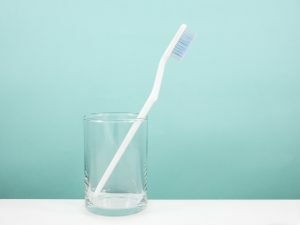 With that said, without regular dental exams to keep you informed about the health of your smile, you can be unaware of how beneficial your habits truly are. People who assume everything is fine can discover that because they brushed with too much force, or failed to spend enough time on certain areas of their teeth, they have cavity troubles. Your Bellaire, TX dentist’s office is ready to help you deal with any oral health problems, and maintain your smile through smart preventive dental care. When you brush too forcefully, the end result can be premature wear and tear that impacts your enamel. If you miss areas of your teeth when you clean them, tartar deposits can gather. If those deposits gather at your gum line, you can face a risk for gum disease as well as cavities. Take time to brush and floss each day, and spend enough time to be thorough when you do. Your dentist is ready to take care of a problem with your oral health, but you should know that they are ready to do more than just work on your smile when something is wrong. During every routine appointment, your dentist can look over your teeth and gums and identify possible trouble. Your routine dental cleaning can also lead to the removal of plaque and tartar – that cleaning can reduce your cavity risk. At Contemporary Dental And Orthodontics, patients who want to maintain the health of their teeth and gums can depend on the quality care offered at every routine exam. That care you receive in the dentist’s chair, along with the care you provide yourself at home, can be crucial for your long-term well-being. Make your appointment today by calling Contemporary Dental in Bellaire, TX, today at 713-668-9119. We proudly welcome patients who live in Bellaire, in Houston, and in all other surrounding areas.